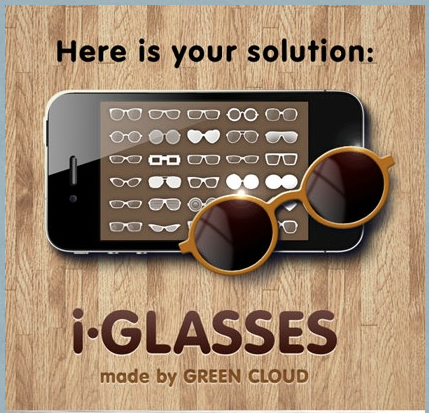 iGLASSES is a creative iPhone app designed to enable you to change your appearance by ‘wearing’ different styles of spectacles. Compatibility: iPhone 3GS, iPhone 4, iPhone 4S, iPod Touch (3rd gen), iPod Touch (4th gen) and iPad. iGLASSES is an app that allows you to adjust an image so that it turns into a silly one or can even give your existing funny photos that extra edge. If you’ve ever wandered around a spectacle shop and tried on all manner of glasses and who hasn’t? Then this app could be just what you’re looking for. Instead of feeling subconscious on your travels around the spectacle store you can create a very similar effect wherever you are with this app and of course you can also change the appearance of anyone you have ever taken a photograph of. It comes jam packed with a huge library of glasses to choose from, guaranteed to create laughs especially when sharing the images via the integrated Facebook or Twitter feeds as well as email. 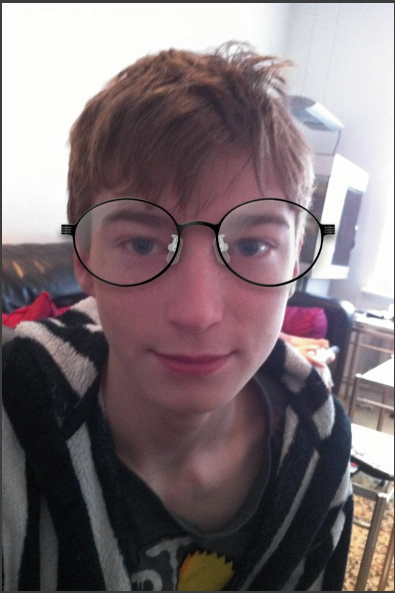 iGLASSES is meant as a fun app and should not be taken too seriously. It comes complete with a good selection of glasses but if you want more choice we would recommend unlocking the in-app purchase of 100 glasses for $0.99/£0.69. 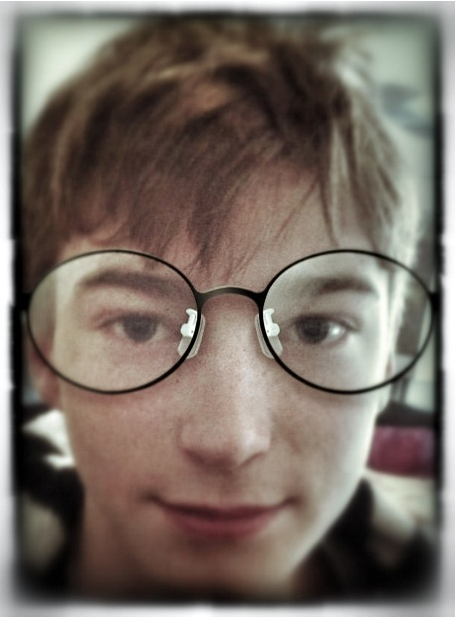 iGLASSES allows you to take a photograph within the app or you can choose one from your album. Once you have the selected image on your device, it is simple to choose a pair of glasses to overlay the image. The glasses are displayed at the bottom of the screen and you just scroll through until you find a pair that you like. iGLASSES makes use of the pinch zoom function and you can decrease or increase the size of the glasses to fit the users face. Fortunately you can also adjust the angle of the glasses too. Once you’re happy with the image you can save it directly to your album or send it up to Twitter, Facebook or email it. iGLASSES is a good app, there is room for improvement, we would like the facility to edit the image in other ways as well as perhaps adding filters. Saying that though, you can of course open the image into an image editing app, such as Snapseed. As can be seen in the image above, we used Snapseed to add some filter affects, saturation and a frame. The end result is better and is easily accomplished.